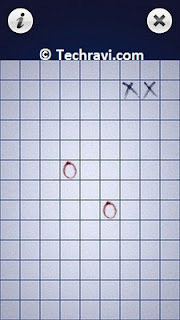 One of the most popular game Tic Tac Toe is back again on your Symbian S605th touch screen mobiles. Most of us used to play this game using pen and paper. It’s a two player game between players ‘X’ and player ‘O’.To win the game player needs to succeed in placing three respective marks in a horizontal, vertical, or diagonal row. If both of the players play their best then there are chances that game will be a draw. Usually it’s a game popular among young children. The game has very simple interface with nice graphics. Using your touch screen you need to mark the space. Nokia C5-03 , Nokia C6 , Nokia X6 , Nokia X7, Nokia 5800 Xpress music , Nokia 5230 , Nokia 5233 , Nokia N97 , Nokia 5530 Xpress music , Nokia 5250 , Nokia N97 Mini , Sony Ericsson Vivaz Pro , Nokia 5235 , Nokia 5800 Navigation edition , Sony Ericsson Satio , Sony Ericsson Vivaz , Samsung I8910 Omnia HD and other Symbian S60V5 devices. Nokia N8 ,Nokia E7 , Nokia C7 ,Nokia X7, Nokia C6-01 and other Symbian^3devices.